The Mann's have delighted and inspired audiences through music, a string of plays and movies, as well as several television series—Meet the Browns, The Mann's, and Mann & Wife. They'll share about their often hilarious and sometimes controversial interactions with each other, their blended family of five grown children and eight grandchildren, and how these relationships enrich their lives. Given their recording careers, touring, filming, and managing an outrageous family, The Mann's will share with readers the day-to-day challenges, successes, and joys that happen behind the scenes. My Thoughts: First of all I have to start by saying that I did receive this book from the publisher with the purpose of reviewing it but that doesn't effect my opinion in any way... now that we're done with that on to the book review. 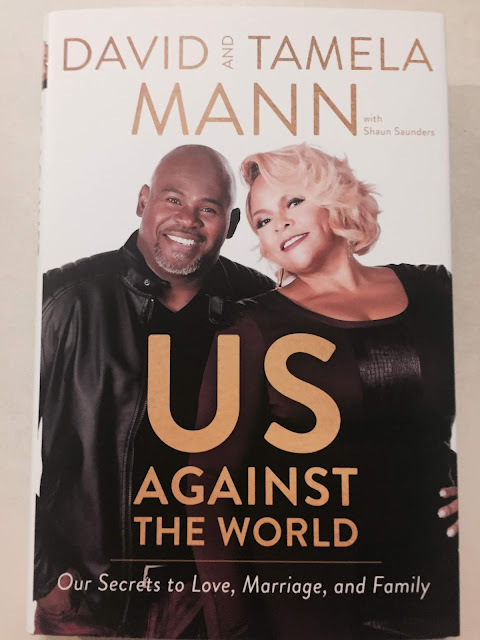 Us Against the World isn't just an ode to the Mann marriage but so much more than that. The couple is incredibly open about their marriage and so down to earth. A great inspiration for marriage.